The numerous labs on campus provide a prime opportunity to reduce our environmental impact and help us reach the goals set forth in Penn’s Climate Action Plan 2.0. 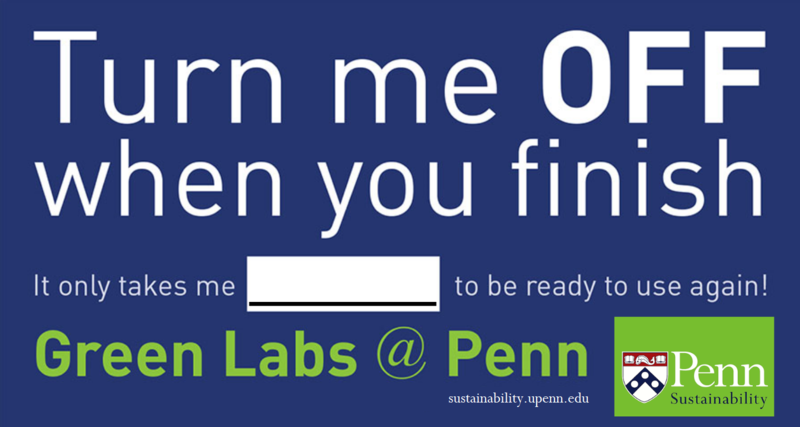 Penn Sustainability created the Green Labs @ Penn Guide to provide overall guidelines for lab greening and recognizes that some labs will be able to complete more actions than others. There are a variety of campus labs ranging from small undergraduate classrooms to large medical research facilities and as such, lab greening will vary based on the location, size, and type of research conducted in each lab. Lab staff should aim to complete the actions that are possible for your lab based on the resources available and the manner in which your lab operates. The Green Labs @ Penn Guide describes daily, monthly and annual actions that can be done to consistently make labs on campus greener. The guide includes a checklist that covers all the actions listed throughout, to help you choose the appropriate measures for your lab. The guide ends with a list of further resources that you may find helpful. Throughout the guide you can find additional information on parallel initiatives, like the Penn Green Fund, Green Office Certification, and Staff & Faculty Eco-Reps, that offer additional resources for your lab. We encourage you to begin by reviewing the guide with your lab team and completing the Commitment Form to obtain a Commitment Sticker to prominently display in your lab. This increased program visibility can improve peer influence for behavior change, encouraging your neighbor labs to participate as well. To obtain a Commitment Sticker, use the Commitment Form to obtain participation signatures from 75% of your lab staff and your Department Chair. 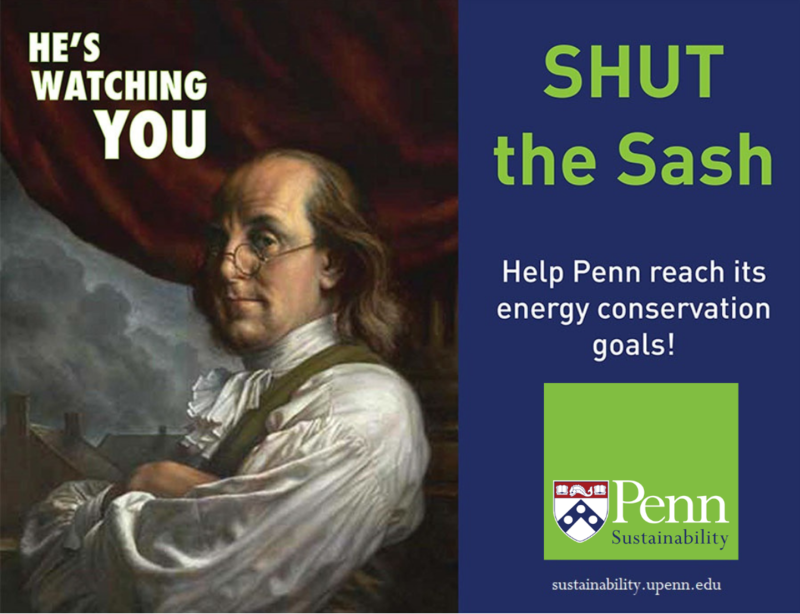 Afterwards, send the form to FRES, Penn Sustainability, at intramural mail code 6289, so we can get you a sticker. Be sure to display the sticker prominently as you work on the remainder of the actions in the Green Labs guide. Elicia Preston, a research scientist and lab manager of the Murray Lab in Penn Genetics, facilitates the Green Labs Working Group, which meets on a quarterly basis to discuss ways to make laboratory operations more sustainable. If you are interested in attending a meeting, please contact Elicia Preston. The Ultra-Low Temperature (ULT) Freezer Efficiency Program was established to reduce the number of old and under-utilized freezers and provide an incentive for the purchase of highly efficient ULT freezers. The program includes incentives for both recycling existing freezers and purchasing new freezers. For more information, visit the Ultra-Low Temperature Freezer Program page. The Reusable Sharps Container Program is available to all University laboratories for disposing of biohazardous sharps waste. This program eliminates the cost and waste associated with purchasing disposable containers, as well as the labor and energy associated with autoclaving the waste. Environmental Health and Radiation Safety requires all laboratories with hazardous chemicals to participate in the Chemical Inventory Program. This program allows labs to share chemicals, which minimizes waste and cuts down on costs. 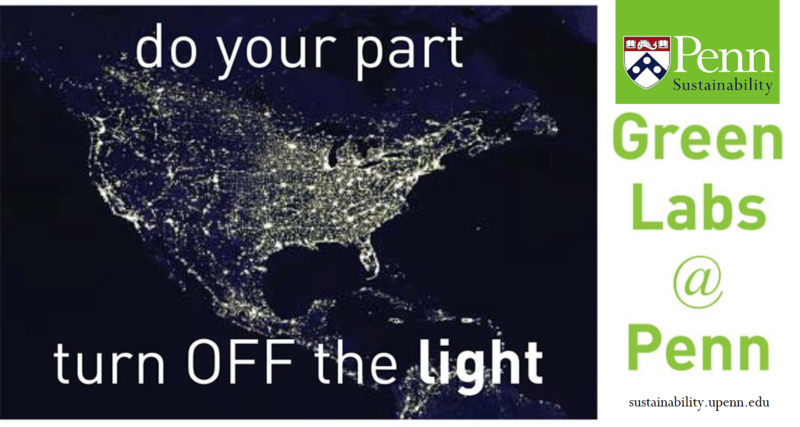 See additional resources in the Downloads section below, including a poster on mailing back Styrofoam and reminder signage for shutting the sash, turning the lights off, and turning off lab equipment.